Massachusetts Governor Deval Patrick is apparently pushing for cameras to be installed at busy intersection traffic lights across the state. This has been meeting with a fair bit of controversy from a few sources. While proponents of the measure say that the cameras would make those intersections safer, critics are saying that it’s no more than a ploy to make more money for the local governments. Measures like this one walk a fine line. Obviously there are many people who are thinking about the financial boost that the cameras would grant and are falling on either side of whether or not that is a benefit. However, I’m sure that there are some people, legislators or otherwise, who do actually believe that these cameras could be a great help to public safety if used correctly. In fact, this side notes a few studies that show just how much the cameras can help. Apparently intersection car crashes involving side impacts are significantly reduced when those cameras are present. However, minor rear end collisions are increased because of people stopping short. While this trades one type of accident for another, it is certainly not a lateral trade. Side impacts are far more dangerous since there is less matter between the person in the vehicle and the impact point. 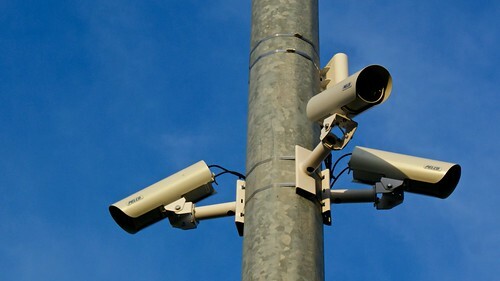 While these cameras may improve safety when used correctly, the prime concern is that they will be used as a revenue source rather than for their purportedly intended purpose. Because of this, the entire project takes flack. So the problem here does not seem to be whether or not cameras work, but whether or not they will be used properly. As always, I encourage you to weigh in on the situation. Would you trust your city, county or state to put up traffic cameras, or do you think they’d abuse the power right off the bat. If the latter, what does that say about your government?